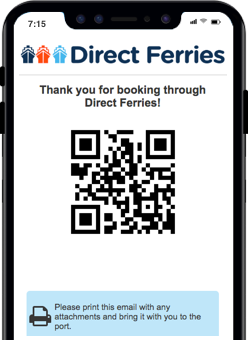 For more information, please visit our Ferries from France to England page. 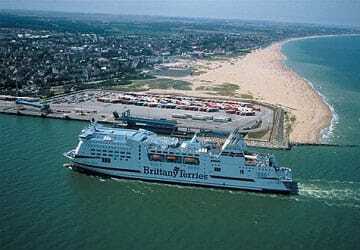 The Caen Portsmouth ferry route connects France with England. 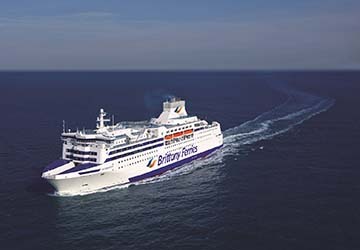 Currently there is just the 1 ferry company operating this ferry service, Brittany Ferries. The crossing operates up to 21 times each week with sailing durations from around 5 hours 45 minutes. Caen Portsmouth sailing durations and frequency may vary from season to season so we’d advise doing a live check to get the most up to date information. Prices shown represent the average one way price paid by our customers. The most common booking on the Caen Portsmouth route is a car and 2 passengers. 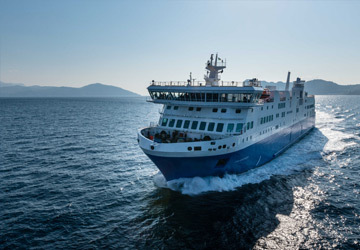 "Crossing the Channel with ease and in comfort"
A daytime crossing with no delays, good value onboard catering and the necessary facilities for a pleasant crossing. We took this 23:30 voyage on board the Mont St Michel. This ship was the best we have ever been on for a Channel crossing. It was just like being on a cruise ship. Even though there were hundreds of French children on board, there was ample comfortable seating (for a change) and the facilities were excellent. The whole appearance of the interior was one of very high quality. If we choose this route again we'll ensure this ship is available. A pleasant trip.staff all very helpful. 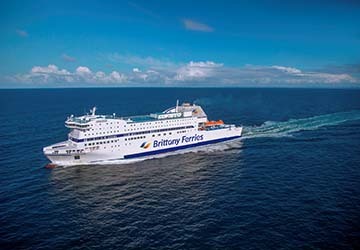 "excellent last day to our european trip"
We really enjoyed our recent trip on Brittany Ferries it was very clean up to date and the food in the restaurant was excellent. The city of Caen is located in the north west of France and is the largest city in Lower Normandy. The port city is located around 15 km inland from the English Channel coast and is around 2 hours by car from Paris, the French capital. There are a number of interesting things to see and do in the city. Caen's castle was built by William the conqueror in 1060 and is definitely worth a visit. The castle is one of the largest medieval castles in Western Europe and was handed to the French Crown in 1204. William the Conqueror is perhaps best known for conquering England in 1066! for visitors seeking a more sedate way to pass the time then a visit to the Jardin Botanique de Caen is a must. It is a botanical garden and arboretum that contains more than 8,000 plant species. The small port of Ouistreham serves Caen and lies at the mouth of the Caen Canal, at the point where it meets the English Channel. The ferry terminal is around 15 km from the city centre and there is a daytime bus service available for foot passengers. 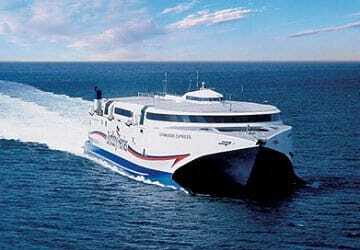 Ferry services operating from the port depart to Portsmouth, on the south coast of England.